On 4 July 2018, the Czech Dutch Chamber of Commerce (CDCC) with the support of the Embassy of the Czech Republic in the Netherlands hosted a reception on the occasion of its 4th anniversary. The reception was opened by H.E. Jana Reinišová, Ambassador of the Czech Republic in The Hague followed by Vladimíra van Aarle, chairperson of the CDCC who highlighted some key facts about the Chamber and focus on supporting its members. The main part of the official programme was dedicated to European labour market and its development, which has become a very topical theme due to low unemployment rates in many European economies, Central Europe as well as the Netherlands in particular. Kateřina Velíšková from the CDCC introduced and interviewed Nunzio Totaro, Managing Director of Déhora, a full service bureau for workforce planning and management and a member of the CDCC. Besides an insightful interview, participants of the reception joined a vivid discussion on the topic. “Many companies and entrepreneurs struggle to find and keep employees in these days. Déhora’s approach for managing and planning workforce for their clients brings significant benefits for both employees and employers, a clear win-win situation,” commented Kateřina Velíšková. 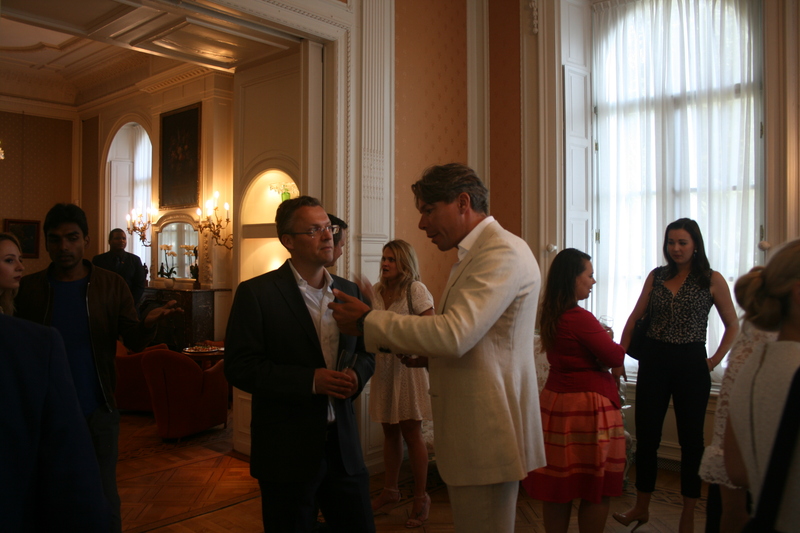 The reception was attended by several members of the CDCC, entrepreneurs and leaders from the Dutch and Czech business community as well representatives of various governmental and non-governmental organizations. “We are very proud of the progress that the Chamber has made during the first four years of its existence and we are excited about activities we plan in the future. I would like to thank our members for their active involvement and we trust that we can support them in many years to come,” said Vladimíra van Aarle.